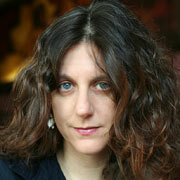 Marcy Dermansky is the author of the critically acclaimed novels BAD MARIE and TWINS. BAD MARIE was a Barnes & Noble Discover Great New Writer's Pick, a finalist in the Morning News Tournament of Books, and named one of the best novels of the year in Esquire. Her first novel TWINS was a New York Times Editor's Choice Pick. Powell's Bookstore named Marcy a Writer to Watch Out For. Marcy's short fiction has been widely published and anthologized, appearing in McSweeney's, Five Chapters, The Indiana Review, and elsewhere. Her essay "Maybe I Loved You" appeared in the best-selling anthology GOODBYE TO ALL THAT: WRITERS ON LOVING AND LEAVING NEW YORK. Marcy offers private editing services for selected manuscripts. She works one-on-one with writers who are committed to their writing projects — novels, short stories, and creative non-fiction — helping them find their way from draft to finished manuscript. Many of her clients have gone on to publication. Michelle Corasanti’s novel THE ALMOND TREE is an international bestseller, translated into over fifteen language and optioned for film. Linda Sienkiewicz, who spent a decade working on her debut novel, sold IN THE CONTEXT OF LOVE to the independent press BuddhaPuss Ink LLC. Suzanna Eibuszyc sold her memoir MEMORY IS MY HOME, transcribing her mother's harrowing experience during World War II.